Twelve-year-old Patryk knows little of the world beyond his tiny Polish village; the Russians have occupied the land for as long as anyone can remember, but otherwise life is unremarkable. Patryk and his friends entertain themselves by coming up with dares -- some more harmful than others -- until the Germans drop a bomb on the schoolhouse and the Great War comes crashing in. As control of the village falls from one nation to another, Jurek, the ringleader of these friends, devises the best dare yet: whichever boy steals the finest military button will be king. But as sneaking buttons from uniforms hanging to dry progresses to looting the bodies of dead soldiers -- and as Jurek's obsession with being king escalates -- Patryk begins to wonder whether their "button war" is still just a game. When devastation reaches their doorstep, the lines between the button war and the real war blur, especially for the increasingly callous Jurek. 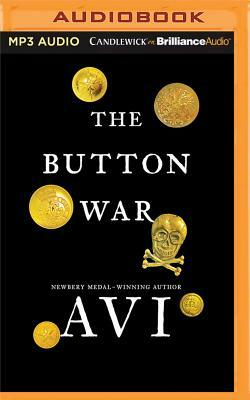 Master of historical fiction Avi delivers a fierce account of the boys of one war-torn village who are determined to prove themselves with a simple dare that spins disastrously out of control.